When one type of chocolate just isn’t enough…. This is a rich, sticky chocolate cake with a thick chocolate buttercream icing and delicate chocolate outer detailing. The white chocolate detailing can be of any design, this particular one has a rough flower outline. 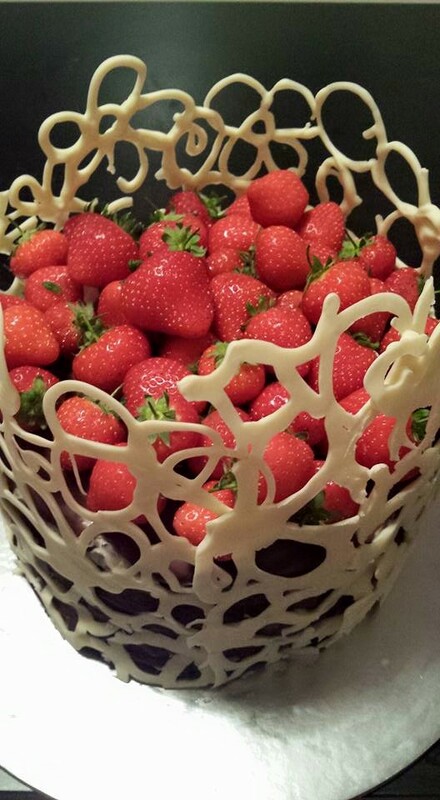 The fresh strawberries create a striking contrast – and taste AMAZING too!